You finally took that pricey plunge and had a beautiful new automated garage door installed. Its sleek steel design really gave your house a mini-facelift and you’re keen for it to stay sleek and modern. You’re also hoping to get plenty of years’ worth of use out of it as it was quite the investment. We’re going to show you how you can do that! 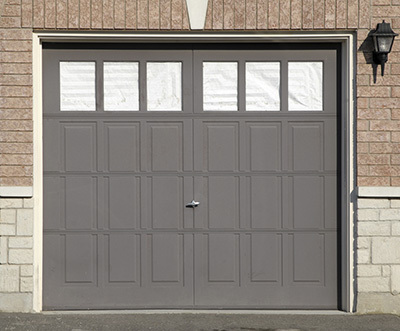 This is a simple way to ensure that your residential garage door always looks good. All you need is some soapy water and you’re good to go! Because the exterior of your door is exposed to all that Mother Nature has to offer, corrosive or abrasive substances may get into the cracks of your door. Cleaning it regularly will get rid of this. Also, while washing your garage door, you’ll be able to easily spot visible signs of disrepair and if you can, fix it immediately. This is essential in ensuring that your door functions smoothly and without any annoying creaks and squeaks, and should be done every three to six months. Make sure that you lubricate the moving parts such as the tracks, the rollers, steel hinges if you have any and the door’s springs if you can. If you have a chain, make sure to use a special lubricant specifically designed for chains. Also, and very important, do not use any type of grease to lubricate. This will actually attract dirt and clog up your moving parts. If you garage door uses torsion springs, make sure to oil them at least twice a year. Apply a thin or light motor oil across the top of the springs. Do not oil extension springs as they don’t need it. Always remember that if your garage door has a broken spring, be sure to only get a trained technician to fix it. The easiest maintenance you can do is lubricate your opener once a year and inspect it regularly to make sure that there isn’t an insect infestation, or that other creatures haven’t claimed it as their home! It is extremely important to service your door at least once a year. If, however, you notice any faulty behavior, contact a professional immediately. This includes your door not opening or closing properly, opening or closing noisier than usual even after lubrication or not operating even when using the remote for the opener. If you’re not that much of a DIY enthusiast, we offer maintenance services for added convenience.